Wanna finally reach that moola milestone of your dreams? Your financial goals don’t have to feel far-fetched. As a creative, heart-centered business owner, you’re passionate about your work. You’re in business to make a difference AND to make money, too, right? But, if you’re selling yourself short and struggling to make ends meet, it’s tough to keep your passion alive and continue to make a real difference. The path to earning more income doesn’t have to be hard or overly complicated. And you don’t have to go cross-eyed from intimidating formulas and spreadsheets. When you approach your moola from a right-brain way, you’ll feel more inspired, comfortable, and confident that you can reach your financial goals and you’ll put a doable plan in place to make that happen. 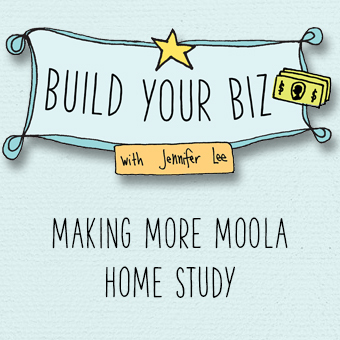 I can’t wait to show you how in the Build Your Biz: Making More Moola Home Study! Learn the 3 ways to make more moola – I bet you’ve been overcomplicating things! If you’re just starting out in your business, it’s important for you to know how you’ll bring in moola, because you are in business after all and this isn’t a hobby. But it can be challenging to bridge the gap between how much you dream of making to know what it will take to get there. The teachings, exercises, and examples in this module will empower you to state an inspiring and do-able financial goal. The business model examples will take the mystery out of how you can hit your desired moola milestones. Even if you’ve been in business for awhile, chances are you probably want to earn even more than you’re currently making, right? 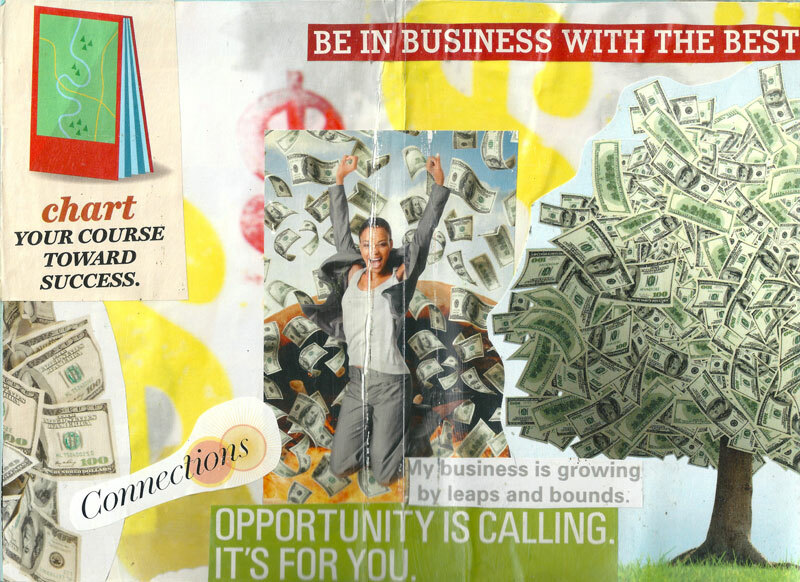 My visual ecosystem exercise has helped even experienced entrepreneurs look at their business, offers, pricing, and financial goals with fresh eyes and renewed energy. If you’re ready to reach a new moola milestone in your business, this teaching will give you tools and tips to develop a healthier relationship with your moola and an inspiring map to get there. How is this Making More Moola module different from your other courses? The Making More Moola Home Study module is part of the Build Your Biz suite of modules. These Build Your Biz Home Study modules are a good fit for creatives looking to grow an existing business. You already have a sense of what your business is and who you serve but you’re struggling with making sales, you’re uncomfortable marketing yourself, you’re frustrated with your finances, you’ve been stuck in the same place for awhile or you’re burnt out from doing too much. The Making More Moola module specifically helps you with understanding the 3 basic ways to make more moola, how to assess the overall health of your business, defining what success means to you, and identifying what you need to sell to hit your financial goal.